In 2014, CCFK completed a fund raising tour through the Rocky Mountains, riding from Calgary to Vancouver. During this ride, CCFK was able to exceed its target of over $800,000 of cumulative contributions for Children’s Wish Foundation of Canada. For 2015 and 2016 smaller tours were done in anticipation of 2017. For the 2017 tour, we rode in the Maritimes, making this a first for our organization! To date, over 15,000 kilometers have been cycled, with over $915,000 raised for the Children’s Wish Foundation of Canada. Canada Cycles for Kids, founded by Marc Balevi and Robert Fetherstonhaugh, is devoted to helping children across Canada. 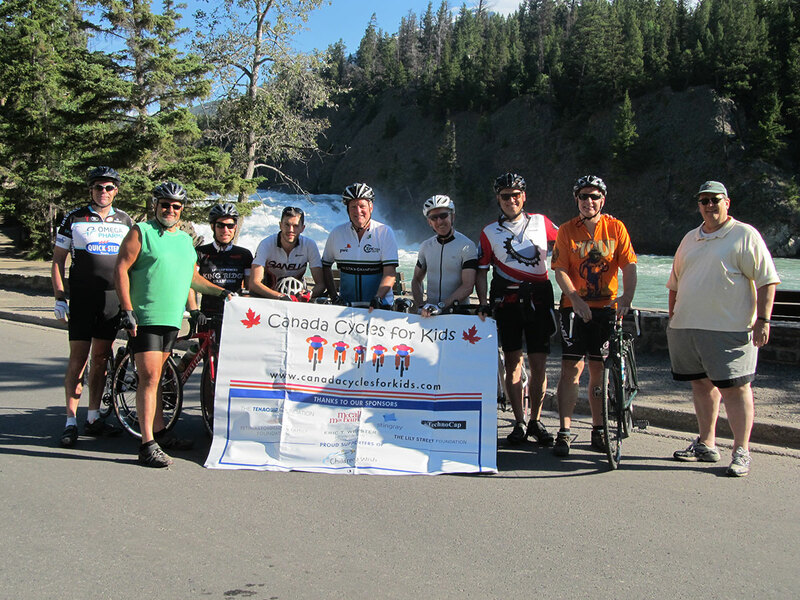 With a passion for bicycling, Canada Cycles for Kids, organizes fund raising bicycle tours. To date, over 15,000 kilometers were cycled with over $900,000 raised for the Children’s Wish Foundation of Canada. © 2019 Canada Cycles for Kids.